By Barbara Hollingsworth via CNSNews.com – Legislators from 45 states will participate in a simulated Article V Convention of States in Colonial Williamsburg, Virginia on September 21-23 to learn how such a convention would work in real life. 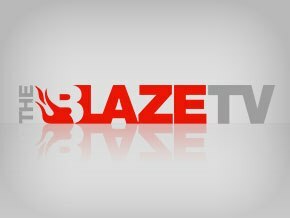 “We’ve never had an Article V convention in this country, and some people who are not familiar with the process have a lot of questions and concerns about it,” Michael Farris, co-founder of the Convention of States Project, told CNSNews.com. The mock convention “will demonstrate the safety of the process and the genius of the founders in creating it,” he said. It will “educate legislators and the public on the kinds of amendments that could be adopted,” including constitutional amendments to balance the federal budget, limit federal taxes and spending, and curb presidential and judicial abuse of power, Farris explained. Delegates to the mock convention will be advised by former Sen. Tom Coburn (R-OK), senior advisor of the Convention of States Project, and project co-founder Mark Meckler, president of Citizens for Self-Government, as they pass rules, and introduce, debate and vote on amendments to the Constitution just as they would do in a real Convention of States. “We’re winning converts daily as more and more people realize that the presidential race is not going to solve the structural problem in Washington, D.C.,” he told CNSNews. Under Article V of the U.S. Constitution, two-thirds of the state legislatures can call a convention to propose amendments to the U.S. Constitution that limit the scope and jurisdiction of the federal government. Any amendments passed by the convention would then have to be ratified by three-fourths of the states (37) before they went into effect. An Article V Convention of States would be an historic event, since all 27 amendments to the Constitution have originated in Congress, which would have no role in the process. Since 2013, eight states have passed resolutions calling for an Article V Convention of States: Alabama, Alaska, Florida, Georgia, Indiana, Louisiana, Oklahoma and Tennessee. Thirty-one states considered Article V resolutions during their legislative sessions this year. 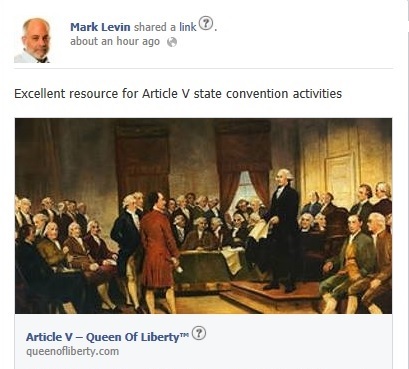 Many questions about an Article V Convention of States “arise because of a general failure to examine sufficiently the history behind and surrounding Article V,” including “the misimpression that the only relevant precedent was the 1787 Constitutional Convention” and “the ahistorical error of assuming that an amendments convention is the same thing as a constitutional convention despite clear historical differences between the two,” University of Montana law Prof. Robert Natelson wrote in a 2013 article published in the Florida Law Review. Natelson said he found 37 historic examples of inter-governmental conventions “up to and including the 1787 Constitutional Convention,” including “five conventions of states held since the Founding Era”. “The Framers inserted an amendment process into the Constitution to render the system less fragile and more durable,” Natelson pointed out. This is a major step and will show the American people what is possible and probable. The old sports adage is practice makes perfect. Good point Robert! 🙂 I hope it helps more Americans become aware of what is possible and that more people get on board.